Located on 35th Ave in the bustling heart of Oakland, California, King’s Boxing Gym has been producing champions and keeping the general public healthy since it first opened its doors back in 1984. The King’s Gym is run by Charles and Celeste King, ably assisted by a training team consisting of: Alfredo Gomez, Bobby Warren, James Buggs and Ruben Casas. Coach Brian ‘Frosty’ Sneed cut his teeth working in camp with former cruiserweight and heavyweight champion Evander Holyfield. Sneed boxed himself in the late nineties, going five fights unbeaten, four by knockout, and he is representative of the pedigree and professional vibe that runs through King’s. Traditional boxing training, one-on-one and personally-tailored sessions are all provided, for both children and adults, and running on a monthly retainer basis means that all levels and capabilities are catered for. Prospective clients can brush up on their boxing skills while dropping those unwanted pounds and training alongside athletes, amateur boxers and novice fitness enthusiasts of all ages and abilities. Serious boxers, intent on honing their skills and working on function and technique also frequent the gym, which doesn’t afford many of the “luxury” items so often associated with modern day fitness establishments. This is about learning the craft and burning off weight in the tried and tested ways that have served championship level boxers for decades. This attention to detail and thousands of hours of dedicated training by the experienced staff has turned King’s in to one of the best boxing gyms in Oakland, CA. 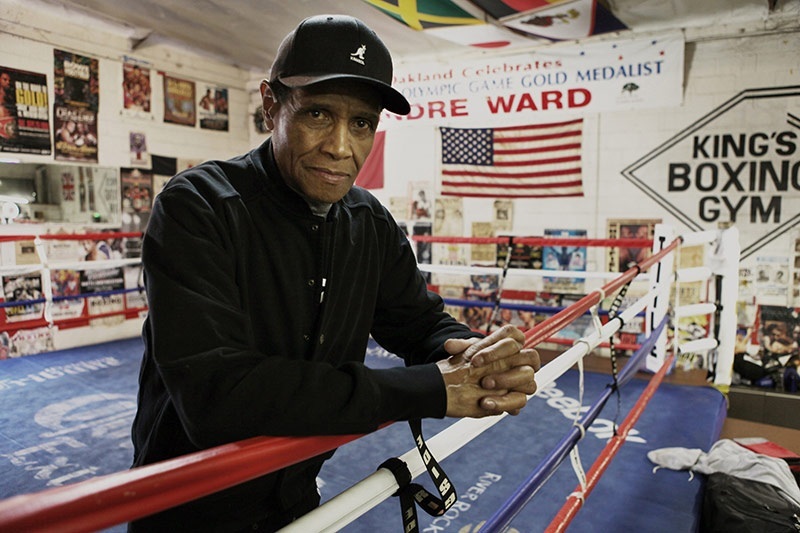 Oakland’s overall status and presence in the boxing world may not be as strong these days, but it was once a thriving hub for the noble art and a respected fight town. Alongside King’s, the notable Pittman’s Gym trained contenders and challengers for a number of years as the town produced title-worthy competitors such as lightweight Johnny Gonsalves and middleweight Bert Lytell, known as “The Chocolate Kid”. Undoubtedly the most reputed trainer to hold residence in the club is Virgil Hunter. Spending over 15 of his 25 years in boxing at King’s, Hunter has been shaping and honing the skills of Andre Ward ever since the 2004 Olympic gold medal winner hung up his vest and headguard and turned professional in December of that year. Ward went on to win 32 bouts, claim titles and win the Super Six tournament at super-middleweight before moving up to unify three belts in the light-heavyweight division when he defeated feared Russian Sergey Kovalev. Andre is therefore Oakland’s most decorated boxing luminary. The King’s club also nurtured amateur standout Kris “Lightning” Lopez who won two Golden Gloves titles as an amateur before a brief flirtation with the pro game. Pro super-featherweight De’Von Abraham is a current King’s prospect who excelled as an amateur, winning numerous amateur tournaments, including the California Golden Gloves and switched codes with a #4 amateur ranking in the United States. Conditioning + Concentration + Coachability = CHAMPION. “We’re just trying to change the world, one punch at a time,” says the caption on one of their social media photos. Young amateur aspirants mix with busy city professionals and elderly patrons just looking to stay in shape, displaying a clear message that people of all ages and abilities can find a place and thrive in this environment. Other benefits include the monitored sparring sessions, nutritional advice from trained experts (including Advocare products) and once you sign up, the price is locked in and does not increase. All of these benefits have made the King’s Boxing Gym a go-to spot for boxers and fitness enthusiasts alike over the past 30 years.